Sign up and receive Property Email Alerts of Freestandings for sale in Seaward Estates, Ballito. 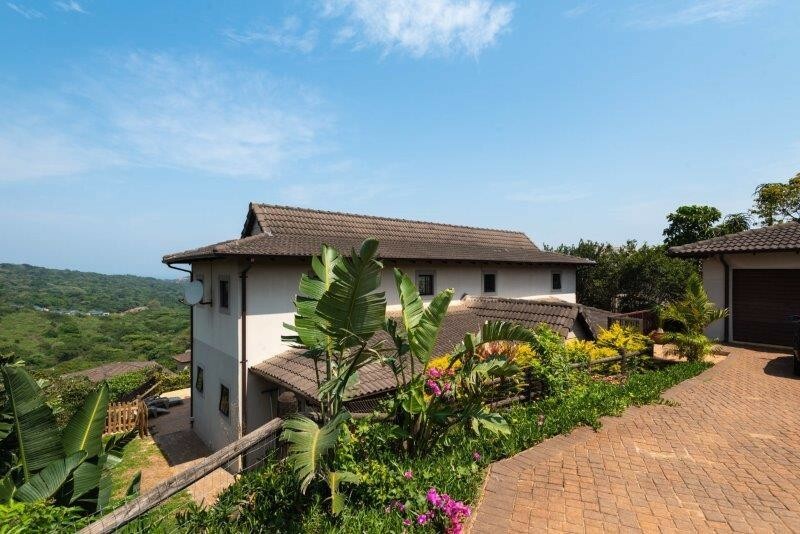 This freestanding property is situated in the secure gated estate within Seaward Estates. Convenient access to the Ballito drive gate. 3 very large sized bedrooms, where the main bedroom en-suit is down stairs and the 2 other bedrooms upstairs sharing a full bathroom. Spacious open plan lounge, dining room leading out to a covered patio with a sparkling swimming pool. Over looking the forest and distant sea views. Very small private garden to maintain. Kitchen with granite tops and scullery area. Study nook down stairs under the stair case and an extra lounge upstairs opening onto a spacious balcony with uninterrupted views. This property is the ideal family living on the coast with privacy and security. Bonus Feature: Pet Friendly. Please contact your accredited agent today to arrange a private viewing. Sign-up and receive Property Email Alerts of Freestandings for sale in Seaward Estates, Ballito.